For organizations with a modest marketing budget, hyper-targeting is key. 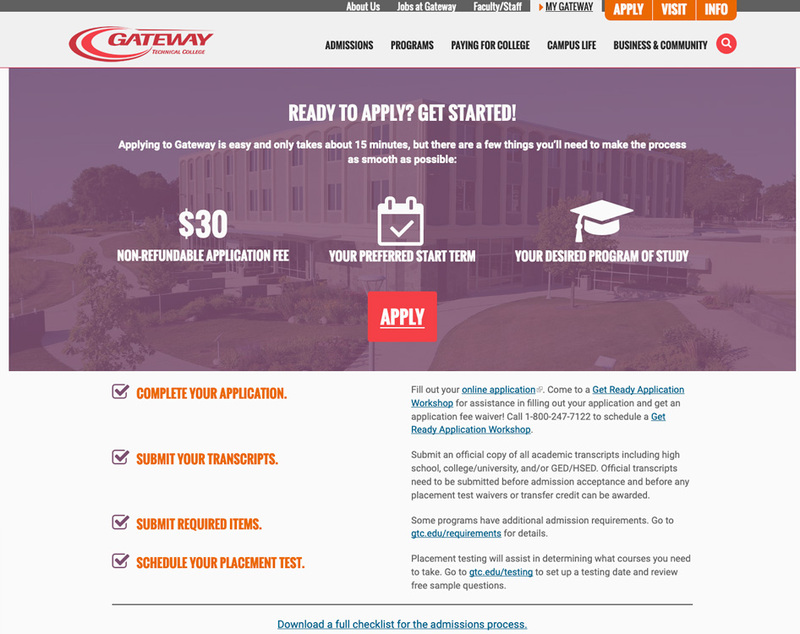 Gateway Technical College, which serves a broad demographic of more than 25,000 students, needed to boost enrollment to their Nursing and Medical Assistant programs. We devised a multi-platform digital advertising strategy that generated significant program interest for a low cost. Gateway had a modest budget and assumed pay-per-click advertising would stretch it the furthest. They were on the right track—we just helped them see the bigger picture. 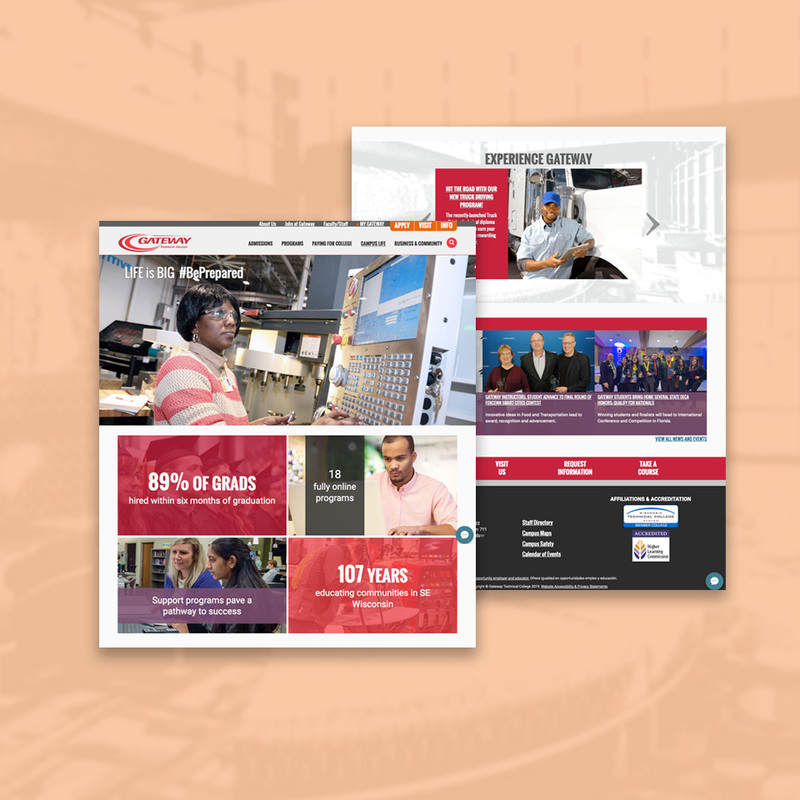 We built a digital advertising strategy that engaged Gateway's target audience at the right time and place. First, we developed a display advertising strategy through Google Ads. 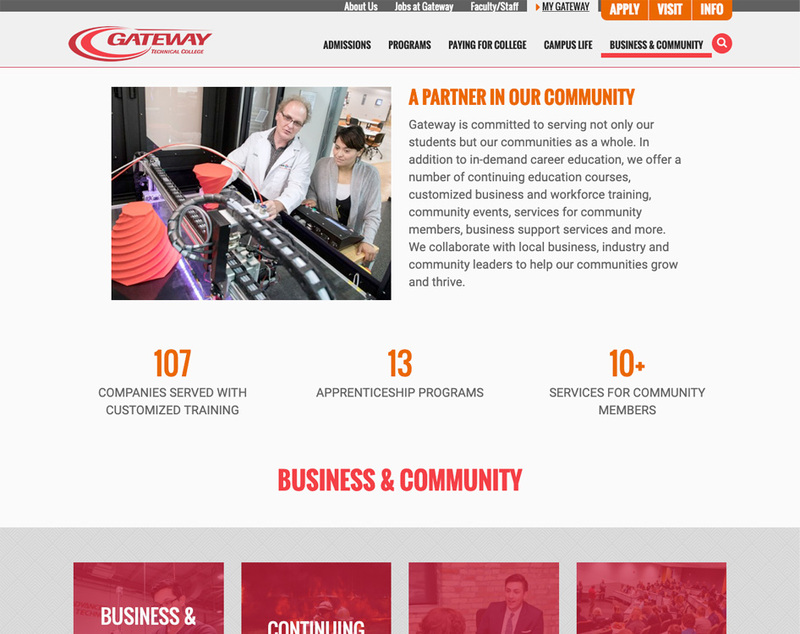 It included digital ad creative and landing page where Gateway could capture valuable visitor information. To enhance this campaign, we created related ads on Facebook and Instagram. We helped keep the cost-per-result low by optimizing Google Ad Conversion Tracking and Facebook Pixel events. We closely monitored campaign performance and used machine learning options for bidding strategy which allowed us to adjust quickly. This technique also allowed Ascedia to pull together a comprehensive report of the attack to understand the impact of the campaign. We used hyper-targeting techniques on all platforms. We drilled targeting down to location, demographics, user intent, behaviors, interests, and other advanced dimensions of the platform. We carefully observing and adjusting these segments throughout the campaign’s run. We also leveraged remarketing throughout this campaign, to target non-converting users. For example, many people targeted by the medical assistant program did not seemed to be very interested in the nursing program, and vice versa. We saved these audience groups and used them for the enrollment campaign the following semester. Based on the 2018 industry standard CPC for Higher Education, GTC saw a surge of interest and engagement, all for almost half the price. The Google Display Network CPC benchmark is $143. GTC hit record engagement for only $85 CPC. The FB/IG CPC benchmark for Higher Education is $43. GTC hit record engagement for only $22 CPC.